It’s Christmas day depending on which part of the world you are reading this in, and that means it is time for some paid-for apps to be offered at a huge discount on the App Store and by huge discount, we mean 100%! We’ve chosen three apps which would previously have set you back some cash, but are now available for absolutely nothing. Some are free for a limited time, and one has changed its business model completely. The end result is still the same though, and that is three great apps for zero money. Read on for the lowdown. WhatsApp Messanger is a bit of a legend in the mobile app world, offering a free way to send messages to your friends and family, so long as they have the app installed too. 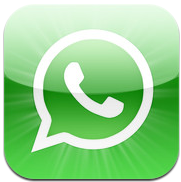 That might seem like a limiting factor – what if the recipient does not have a phone that is supported by WhatsApp? Well, given the fact WhatsApp is available for the iPhone, Android, Nokia and BlackBerry handsets then the chances are your friends can at least give WhatsApp a try. At the usual price of $0.99 it was worth a punt, but for the risk-free price of free, it’s a no-brainer. LogMeIn is roundly accepted to be one of the best remote desktop applications on the planet, and at its previous price of $30 it was still considered something of a bargain. At the new low price of free, then you really can’t go wrong. The reason for the new price tag is a change in business model, which has left the app being offered for absolutely nothing with a basic – still plenty for most – feature set, with more options made available via an in-app purchase subscription model. It’s an interesting move to the freemium model, but if you can make do with the free version then you are onto a winner. 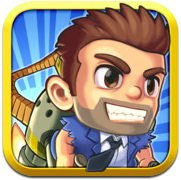 There is not really that much to be said about Jetpack Joyride, and we are willing to bet a small sum that you already own this wondrous little game. The critically acclaimed game by the same developer as Fruit Ninja has been taking the mobile gaming world by storm of late, and if you do not already own this little gem then you really should, especially considering it is absolutely free! 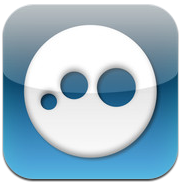 Everyone loves free apps, especially when they are super awesome apps!